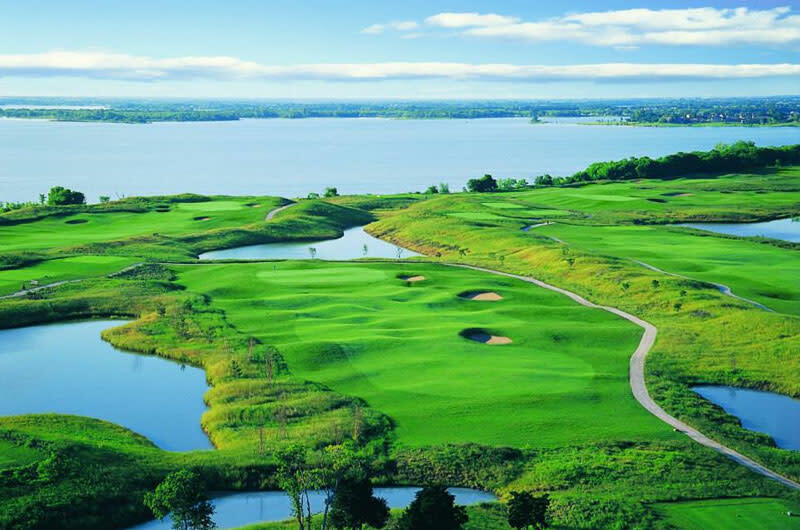 Located in The Colony just off the eastern shores of Lake Lewisville, The Tribute at The Colony offers a unique Scottish links-style golf experience that pays homage to the legendary courses, complete with wind-swept dunes and sea-washed grasses. This course is unlike any other in North Texas and is complemented by an array of upscale amenities – all open to the public. From award-winning championship layout to a majestic clubhouse, superb dining, and luxury accommodations, The Tribute is an unrivaled setting for unforgettable golf and truly memorable tournaments, wedding and special events.